!! A word of warning, if you are on ebay or aliexpress do not trust sellers with “Novate” in the name such as “Novate Intelligence System Company Limited” and “Novate Security World”. They are scammers and while they sell you the camera, if you have problems, they don’t respond anymore and let the shop die to open a new one with a slightly different name! With the latest firmware before this one there where 2 issues I was bothered by. Time setting where very broken and you could not disable the introduced cloud functionality. Both issues have been fixed with this new firmware! This firmware completely re-works the time settings window. I believe it to be small changes to the camera firmware and big changes in the IPConfig tool. I use NTP with a refresh of about 1 hour and that seems to work just fine using this firmware. In the previous version the time would jump around, depending on your settings and actions in the configuration tool. None of that this time, it fetches NTP each hour, corrects where needed and now just works smoothly as you would expect. 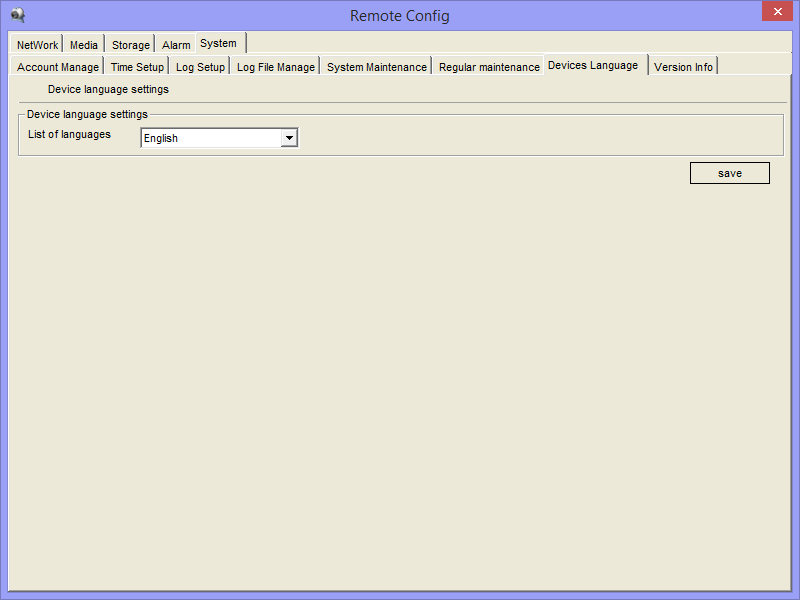 In version 2.5.0.0 cloud functionality was introduced in the firmware. I wonder how many of you are actually using it? Let me know if you do! The problem was that this added feature had no disable button and that as it turns out their cloud platform is a VERY BIG security hole where anyone on the internet could view your camera’s feed without you noticing. I always use my camera’s in a separate subnet of which I block access to the internet except for DNS and NTP. Since this new 2.5.1.8 they have introduced the functionality to disable it! I heard from one person who installed it that they had issues and couldn’t actually click on the boxes, and using your keyboard to change the settings was the only way. For me using the mouse worked fine! A tip for upgrading the firmware! If you want to upgrade the firmware, there is a little trick. If you are running your camera’s in the 5Mpix setting (To be honest, why run it in something else?) your firmware upgrades will be very problematic. 95% of the time your upgrade will fail without a really clear reason. The trick is to set the camera to 720p and then do the upgrade. It will succeed every time and after the upgrade has been completed, you can change it back to 5Mpix! On my test camera’s, all settings where kept and I haven’t noticed any issues in using the camera’s for the past 2 weeks. In the video capture settings I don’t change too much. I mostly add a little bit of sharpness and set the IR sensor to passive. Passive mode seems to work best for me and it smoothly changes between dark and light situations. It will sometimes flipper a little but when the sun is coming up or going down, but nothing that troubles me. Especially in the video encoding setting you can change a lot of settings. I have tested with which settings I get the best results, at least in my situations. I set the camera to 5Mpix, 10FPS, 3800 Bitrate, CBR. In picture capture I change my picture export setting to 100%. Whenever I get a picture from the camera I will later on use this picture for generating a timelapse video. And thus I will re-encode all the pictures anyway and I will choose the setting (filesize) I desire at that point. (Linux only, windows you can find somewhere else on this blog) This line will fetch an image using the picture URL and save it using the current date and time. Perfect for when running a timelapse. I have also tested running this on a Raspberry Pi 2 and it works great with low CPU usage. These settings vary a bit. I sometimes use UDP and sometimes use TCP. In theory, using UDP on local network would be fine and streaming over the internet for instance TCP should be better because a missed packet shouldn’t interrupt the stream. In previous versions of the firmware there was a special TCPFIX version of the firmware. I don’t know if this new firmware also needs the adjustments made in that version. I’ve used a Raspberry Pi 2 to re-stream the camera stream to the internet so that I can watch it locally and over the internet without giving the camera’s internet access. The Raspberry Pi 2 handles this with ease, running multiple cvlc sessions with only about 5% to 10% usage on one core per camera. Great! That should be the most information people need to get their camera set to the optimal settings. I haven’t discussed the network settings but those should be pretty clear. or their W3200aG-B-POE or W893G-B-POE? They no longer carry W551G-B-POE one. Ah, I see they don't anymore! I'll pass them a mail asking if they really discontinued it or that it maybe got because of the new website. All the others types I have not tested personally, from the 5Mpix variations only the one's I have written about. I kind of dislike the small IR LEDs and very much prefer the bigger IR LED blasters. Hello, ich have 21 of this cams. a little bit with 2.5.0.6 and the most of this is 2.5.1.8. after any weeks, the cams with 2.5.1.8 lost the ip adress and gooes automaticly to the factory terms. Do you hava the same issue? I try in mail 4x cameras but I could not put the new firmware ! i have Problem after updating. The Cam was sporadly shown as offline. The color from Item on the left side in UC Software goes from blue to white= offline??? Where can i downloading the Firmware V2.5.0.6??? 21 cams, nice! I currently have 2 of my cams running on the 2.5.1.8 and they have worked just fine, no losing IP or settings. I do use them with static IP's, do you? That could be a difference. 2 versions is interesting. The newer version was probably a quick bugfix. Does the camera also stop pinging and go offline is streaming with VLC for instance? Does the camera physically go offline? I would check those things first. Hi, this is a superb guide for this type of camera so thank you! Are you able to comment on the 'motion alarm'? So particuarly the sensitivity vs alarm threshold, the manual has a typo on this which makes it difficult – I quote: "Sensitivity range from 1 to 100, 1 is the most insensitive; 100 is the most insensitive." upgrade firmware failed ! ???? Hi Thanks for your great reviews and tutorials, I have T38F006-ONVIF-P2P V2.5.1.9 build 2015-02-12 14:55:13 in my camera, is it possible to capture this firmware so i can share it with everybody. I have fixed such issue disabling DHCP on the camera. Just use a static IP. There is a huge security hole. 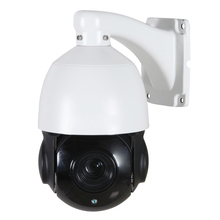 It is enough to know only IP and HTTP port to watch and fully control your camera without any password. Opened HTTP port can be detected in few minutes using simple scaning. Onvif Device Manager and other Onvif clients can request RTSP URL with predefined password hash. Option 1: Use a HVR to access the camera. Camera's HTTP port must be closed on the router. 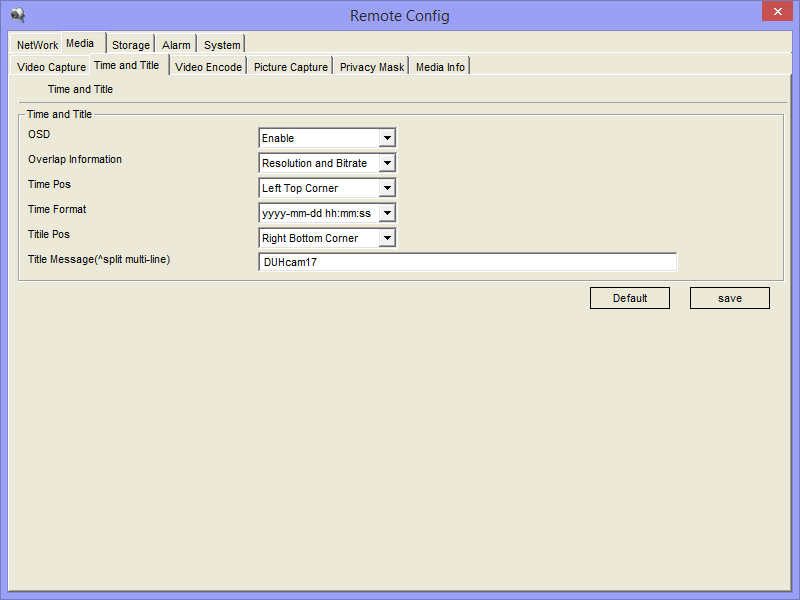 Option 2: It is possible to configure the watch software as generic RTSP client (using port 554). But PTZ will be unavailable. 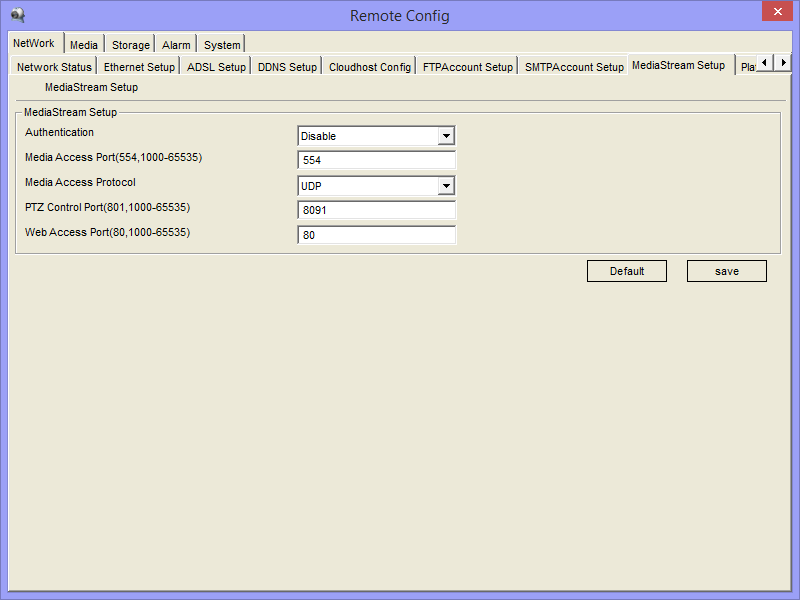 Option 3: I have created the Onvif Proxy Server with strong authentication. Testing now. Hi, I was unable to download the firmware from my camera but i found a link where you can download the file. Did anybody tested T38F006-ONVIF-P2P V2.5.1.9 build 2015-02-12 ? Everything works. Updated the active-x installer (IPCConfig.exe v2.0.0.44) and ugly fonts in config UI. How to change fonts ??? in normal ?? is there any firmware to fix the motion detect and upload photo to FTP? Have you fixed FTP upload? Be sure you have correctly selected checking area. Try to click few times and look at the bold red rectangle. I'm use sensivity 90 and threshold 3. It works fine at any time (day/night with IR). Uploading to FTP does not work if you have installed SD card or USB storage. Just remove it or select Unmount (Note it will mount again after reboot). where I can find a newer version? 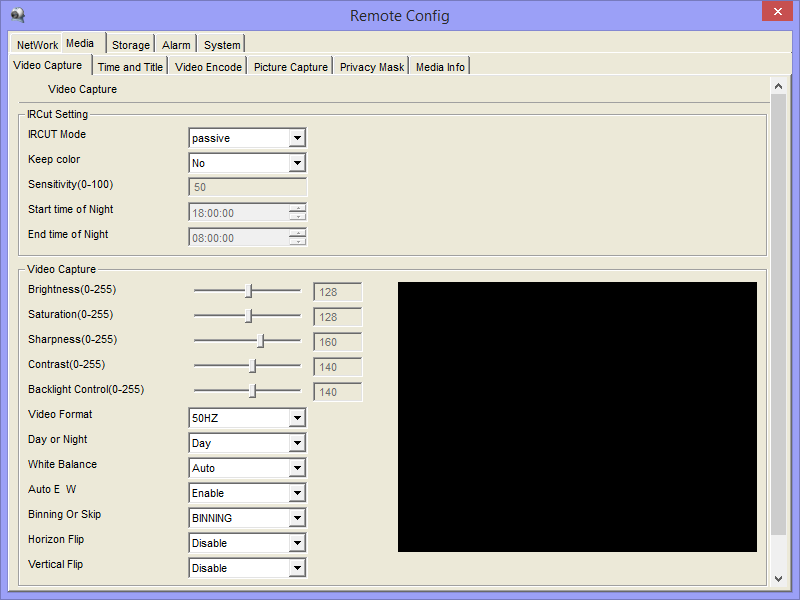 Then you can setup Generic RTSP in IP Cam Viewer. Look at tinyCam Monitor for Android. You can setup this camera as Generic ONVIF. And look at Onvifer too. I have created an own ONVIF proxy for my cams with strong authentication to avoid this. You can disable RTSP authentication for public access. I installed a 5mp camera and the camera kept reverting back to the default ip address of 192.168.0.123. I could not change the ip address and also make any changes, it was running 2.5.1.8 firmware. I've now downgraded it to V2.5.1.9_20150212145517.bin and the camera is very responsive and the changes are also working. Thank you for the person in this post for linking this firmware V2.5.1.9_20150212145517.bin you have saved me money and also I can now downgrade other cameras that I had the same issue with. Did you lower the resolution to 720p before trying the upgrade? When the camera is running at 5MP the upgrade often fails. I don't use the motion alarms myself so sadly have no experience with it. I do know that recording videos won't work without local storage in the camera itself. I let my NVR do all the processing. Did you lower the resolution down to 720p before trying? If you where running at 5MP the upgrade often fails. I don't know where you saw a 3MP sensor but the one's I have clearly do have a 5MP sensor. Sometimes you will see 3MP printed on the lens, but that doesn't directly translate to a 3MP picture, as long as the lens is of high enough quality, it's fine. I have the same problem with a Cotier IPC 631/T13 with TH32E. DEBUG output created by Wget 1.5.3.1 on Windows. parseurl ("http://192.168.1.115/cgi-bin/snapshot.cgi?stream=0&quot😉 -> host 192.168. Connecting to 192.168.1.115:80… Created fd 1900. 18:34:38 ERROR 407: Proxy Authentication Required. I’m in the same boat with a 407 error, did you ever get it figured out? Did you turn off RTSP authentication? If no you could try that, or try including your username:password@ in the regular URL fashion! Some may be interrested by the following link. I have a Cotier 631 / T13 and detection seems to work. primarily a linux user so was stuck when i had to use IE to access the camera config. 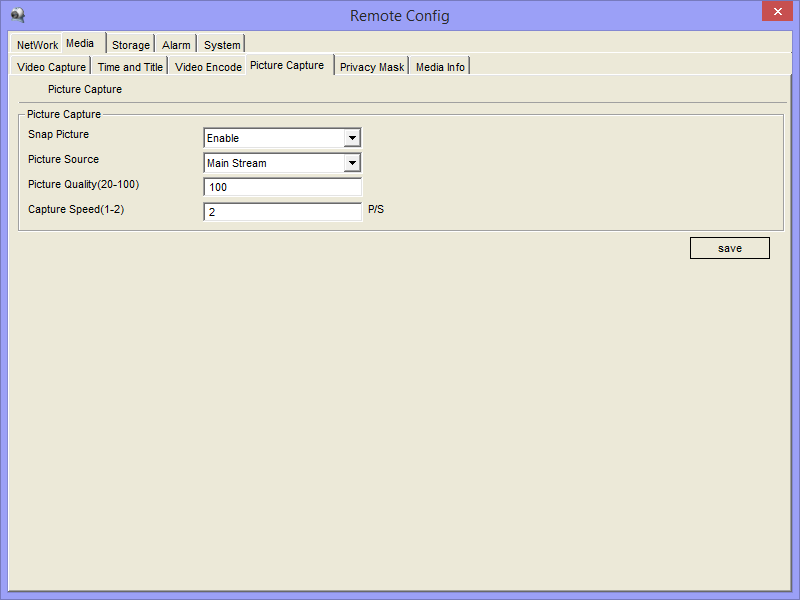 After installing a vm (only had xp os) then was able examine the ip camera config in uc client. trying to utilize the sdk to modify the ip camera configuration. some success. http://www.en.tpsee.com/sdkdownload/96-1.html. built the demotest app and utilized some of the library functions. so far have only been able to read configurations not change them. going to compare the what the uc client does vs the sdk equivalent command. what kinds of changes are people doing to the firmware (busybox)? what files are they changing? can I get root ssh access to the camera? Your blog is great, helped me a lot getting the best of my cams also using similar firmware. I have an issue though with some cameras running firmware_TS38LM-ONVIF-P2P-V2.5.1.9_20150212152038.bin ( I also have other cameras using TS38ABFG006 but they dont present the issue). The issue is regarding night vision, since the 2.5.1.9 version on the TS38LM version cameras the night vision became extremely noisy to a point where any setting of Motion detection would stop working (permanent detection or none at all). I tried to revert back to an older firmware and it did not work. I tried to use UC2_Network_Video_Surveillance_Client_V4.7 that was supposed to allow the downgrade according to my vendor but no way… even in 720p the firmware would not downgrade. So my question are, have you ever tested cameras with this firmware ? Did you already hear about the night vision isue for the cameras running the TS38LM version of the firmware ? and last but most important would you happen to have a tool or a process to downgrade the firmware of DaVinci DM365 or DM368 camera ? Thanks again for your very helping Blog. by the way if you want to hold in your FTP the files : firmware_TS38LM-ONVIF-P2P-* I have them from 2.5.0.6 TCPfix to 2.5.1.9 and would glad to send then over to you if this can help anybody. My bad. I saw 3MP on the lens and assumed the sensor was 3MP. I also use the camera TS38LM night and terrible noises. In the new firmware noise even during the day! wondering how to downgrade? And which version best quality? That being said, on the TS38E version of the camera's we use, this functionality doesn't work either. Hi is their any way to control the shutter speed so I can slow it down as I get a lot of blur on a moving object. There is a Day and Night mode in the UC client or possibly on the cameras webpage if accessed by IE. But shorter exposure times equals less blur (slowing down shutter speeds would give you more blur). So you would want to select Day mode. You can also try to click on the binning option if you are not using the cameras at full resolution. No, not with these camera's I believe. It doesn't give you enough control over the shutter to influence it. Even changing frame rate and other values doesn't change the shutter time either. I have seen other camera's which do react to that. Any new firmware after V2.5.1.9 ??? Actually, yes there is! But I haven't been able to get a hold of it yet. Still working on it though! Not yet sadly enough, but I’m still working on it! As soon as I get it (or someone who has it sends it to me) I’ll put it up on my FTP! As i was looking for newer firmware i stumbled upon a chinese website which claims to have some firmware supporting onvif 2.5. In the download section there is a camera search utility to detect their ip cameras. This piece of software got me worried. I installed the software and made a network scan. It found my camera and displayed not only the serial number and mac and ip adres but also all user accounts including the passwords!!! how can this be possible? is this a security issue? There is a huge security hole in all versions of DM365/DM368 DSP IP Cameras. Its ONVIF implementation does not require the password at all. It is possible to get RTSP URLs with the hashed password via ONVIF request too. The simple solution (no PTZ) is to close 80 port access to your camera on the firewall. Use RTSP URL with the hashed password to access the camera outside (554 port). I have created my own ONVIF proxy (full functionality) for my cams with strong authentication to avoid this. Soon new firmware for AOTE IP camera ??? Not yet. I’ve spotted new firmware but I haven’t been able to get a hold of it yet! In addition to the security hole I figured out that some Onvif software may fail if IRCut mode is “manual” or “inverse passive”. According Onvif spec the enum IrCutFilterMode contains the following values: On, Off, Auto. But you can see the following values in settings: “active”, “day and night”, “passive”, “manual”, “inverse passive”. It does not conform to Onvif spec at all. So many applications cannot deserialize IrCutFilterMode value “3” in case of “manual” or “4” in case of “inverse passive”. Onvif implementation on this camera is inconsistent and probably it will never be fixed. Yeah, there are still some bugs with this camera but from my experience with Chinese camera’s and firmware the current state is actually quite good and very workable. It’s still very hard to find a better quality camera with the same stability and features (such as the Picture URL, etc.). Most new one’s I’ve tried either lack in image quality (Mostly Omnivision sensors), are at least 2x as expensive or have horrible firmware that crashes every 3 hours, doesn’t have a Picture URL or even more horrible windows extensions, etc. Hi, i found this blog and it is really great! my problem is that after a while (sometimes days, sometimes hours) the camera is not responding, or cannot reachable on the web interface. Sometimes it is pingable on the network but i cannot access to it. Sometimes somehow fixes itself and start working again…very strange! My question is that was this issue fixed in 2.5.1.9 or my camera has a hardware issue? Thanks. I wish, I know there is a newer firmware then I have listed and I have it on camera but sadly no idea how to get it off there and I haven’t been able to find a download either! I will upload it soon to my website and i will share it for You! I dont know about what issues were solved in this firmware, i am using it for a while but this firmware is still doing strange things!! It would be nice if You could test it and share what you think. This is the latest what i found. Awesome, sure, let me know! Is there anyone else who upgraded to firmware 2.5.2.0? The firmware listed here is only for the TS38ABFG006 type camera. It will not work on T38M based cameras. dear sir, I try to upload the firmware , but now the camera is dead. I cannot see . I tried to find it with uc but nothing. any suggestion pls ??? It’s almost impossible to kill the camera’s with just flashing. Try taking it from power for a little while and then powering it up again. Also try and see if it’s responding on the default IP. Even if it’s not, try connecting to it anyway. Where is I can download firmware for T38F006-ONVIF ?